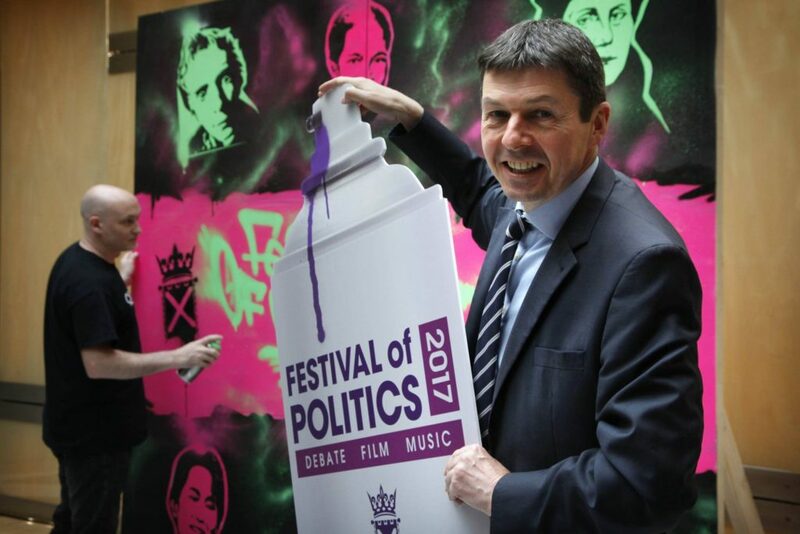 I enjoyed trying my hand at some spray painting this week as I helped launch the programme for this year’s Festival of Politics. From punk pioneers and the summer of love to fake news and the death of the expert. 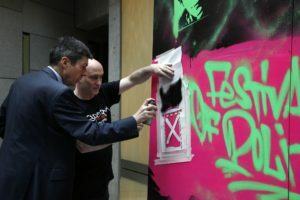 Rebellion and revolution in all its forms will be explored at this year’s Festival of Politics. As the Festival enters its teenage years, we will welcome those who have been willing to take risks, push boundaries and challenge the norms in order to make a difference to the world around us. From the lead singer of The Skids to genuine heavyweights of the political world like Ken Clarke and Harriet Harman, this year’s programme is guaranteed to bring out the rebel in all of us! Below you will find a copy of my welcome to the Festival alongside pictures from the launch. 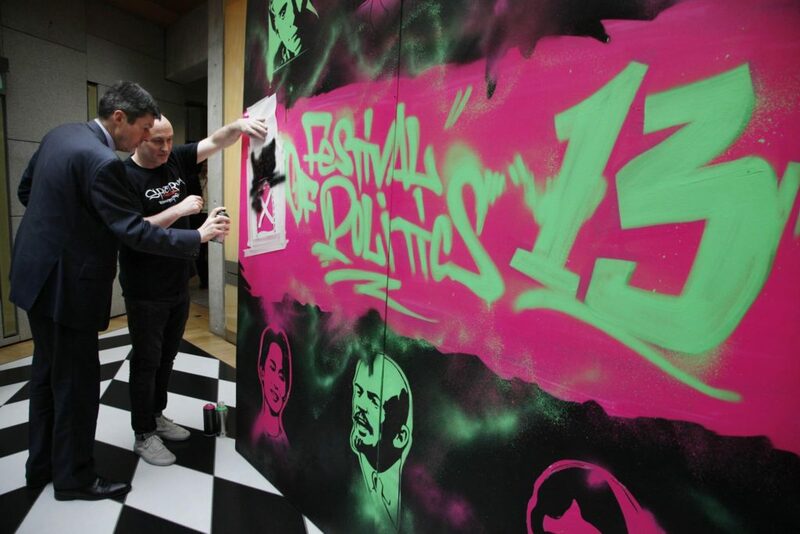 As we celebrate the Festival of Politics’ 13th birthday this year, it is fitting that we embrace the traditional teenage notion of challenging the norms and push the conventional boundaries with a programme for 2017 themed under Rebellion and Revolution. The Festival will take on all-comers this year. From marking the Russian Revolution’s centenary with an appraisal of Lenin and Karl Marx’s ideals to the global rebellion of the Reformation and from the Euro-supporting Conservatism of Kenneth Clarke MP to the campaigning gender equality put forward by Harriet Harman MP. 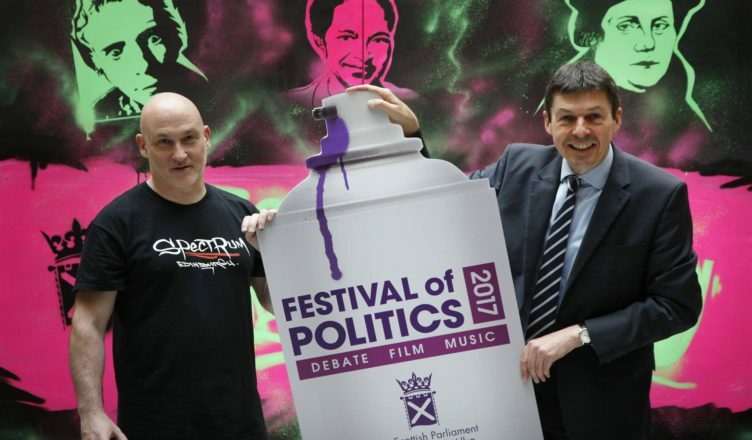 Our Festival Café Bar moves into the Main Hall of the Scottish Parliament this year with exhibitions of Teenage Instamatics: Punk Rock in Edinburgh 1977 and the Scottish Press Photography Awards amongst a diverse programme of music, choirs, poetry and dance to challenge all expectations. In this teenage influenced year, we have partnered with Young Scot to bring in our team of Revolution Reporters who will participate and report on various Festival panels. 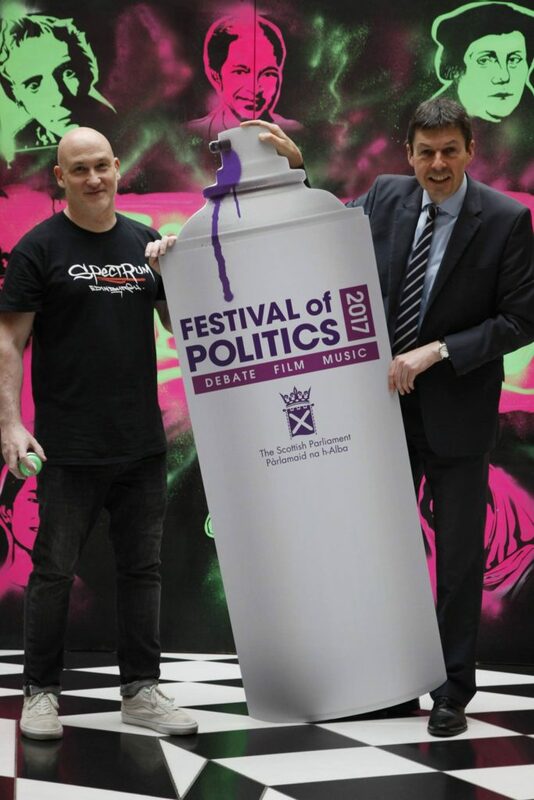 We look forward to welcoming both them and all our Festival audiences here to the Scottish Parliament for three days of revolutionary political debate and lively conversation. You can find the details of the festival programme here.